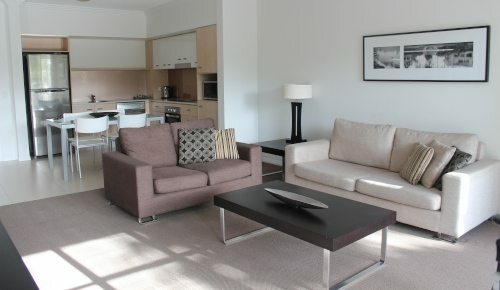 Stylish studios, one and two-bedroom apartments can accommodate visits from a single night to several weeks. All apartments feature a workstation with broadband internet, air conditioning and cable television. 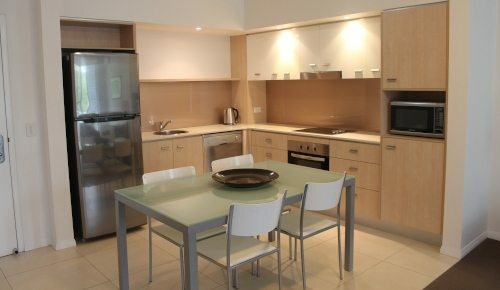 The studios have a kitchenette with microwave, toaster, tea & coffee and ironing facilities. 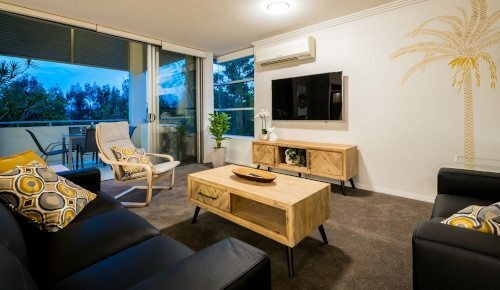 The one-bedroom apartments have dining and kitchen area with private balcony or patio, separate bedroom with en suite and full laundry facilities. The two-bedroom apartments have a private balcony or patio, open-plan living, dining and kitchen area, laundry facilities and a separate bathroom. The two-bedroom, interconnecting apartments are a combination of a studio and a 1-bedroom apartment. These are extremely spacious and comfortable. 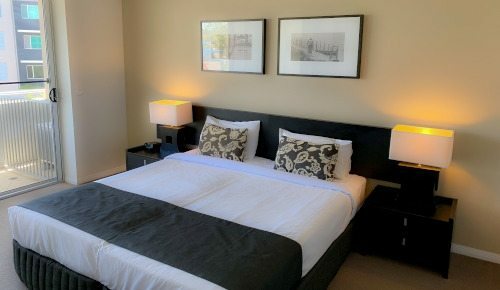 The two-bedroom suites are recently refurbished providing a stylish and luxury home away from home with complete new furnishings and additional features such as, FREE INTERNET & NETFLIX, a safe, nespresso machine and more.